Aleksandrija Fruska gora has announced today that the first plant for production of gluten-free in Serbia started working in their new department in Curug. The project of gluten-free products originated with the intention of technologists of the company to get to a new group of products made of the whole grain of millet and buckwheat which would fulfil all nutritive needs of people. 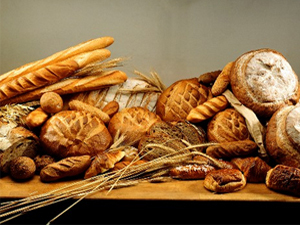 Through testing and analysis of breads, pasta, crackers and cookies, they saw these are products which improve general health condition of human organism and analysis showed that these are also gluten-free products since millet and bucket wheat do not contain gluten, it was stated in the announcement of the company. Apart from that, technology they developed during the work on the products proved to be unique in the world versus known technologies of other producers which were developed solely for gluten-free products without providing nutritive product for human organism. Aleksandrija Fruska gora announced the products were tested and produced in special terms of completely new and specific department within their plant in Curug. Rolex world’s most reputable company for the fourth year 19.04.2019.